Cxense provides extraordinary insight into online audiences; delivering digital advertising, big data analytics & content recommendations for online publishers. BlueKai offers its customers a solution for managing and activating all their 1st and 3rd party data for use in their marketing and customer interactions. Nielsen Marketing Cloud and it's leading DMP empowers brands, agencies and media companies to connect more effectively with customers by combining Nielsen’s world-class audience data, media planning, marketing activation, analytics and AI-powered modeling capabilities in a fully-integrated platform. Salesforce DMP is a global leader in cloud-based Data Management Platform (DMP) for marketers & publishers. Connecting marketing to sales, we use data science to help brands engage buyers across addressable media via puchase-based insights, targeting & measurement. Salesforce Data Management Platform (DMP) captures and activates your data to strengthen consumer relationships across every touchpoint with a powerful data management platform. 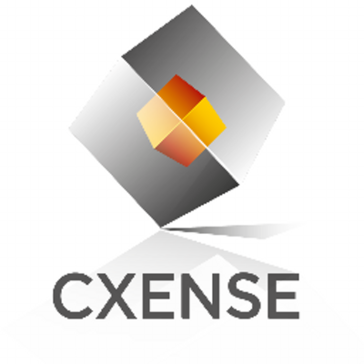 * We monitor all cxense reviews to prevent fraudulent reviews and keep review quality high. We do not post reviews by company employees or direct competitors. Validated reviews require the user to submit a screenshot of the product containing their user ID, in order to verify a user is an actual user of the product. Hi there! Are you looking to implement a solution like cxense?